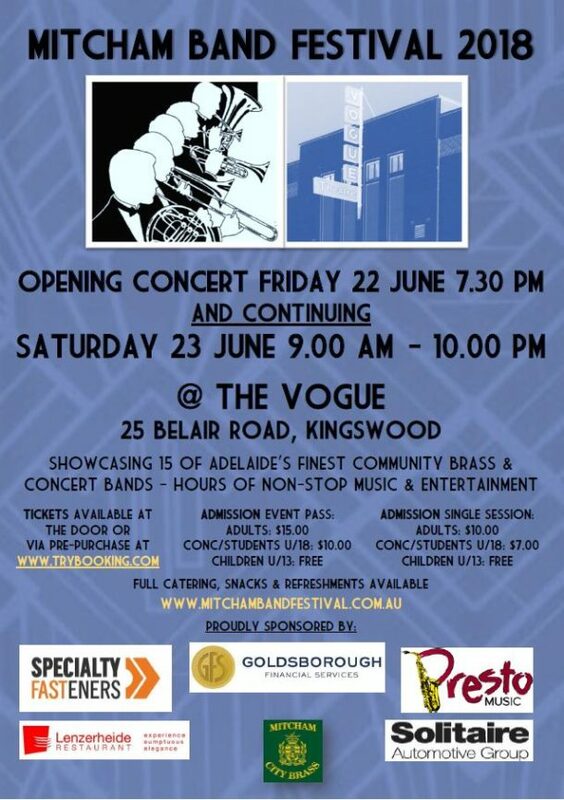 The Mitcham Band Festival is a fun opportunity for each of the bands to showcase their favourite arrangements on stage in an epic musical extravaganza! 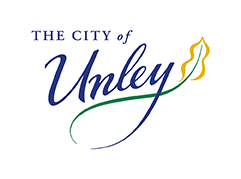 Unley Concert Band will be playing on Saturday at 6:50pm – 7:35pm under guest conductor Stephen Boyle, immediate past Musical Director of the band. The event is proudly sponsored by Specialty Fasteners; Presto Music Repairs, Goldsborough Financial Services, Lenzerheide Restaurant and Solitaire Automotive Group. In conjunction with Presto Music, Besson Brass and Eastman Winds will have a range of instruments on display during the Saturday sessions. Come along for all or part of the event. Food, Snacks and Refreshments will be available for purchase. Tickets can be purchased at the door or online. Click here to book.